This short tutorial will show you how to configure Mailbird for use with Lavabit. 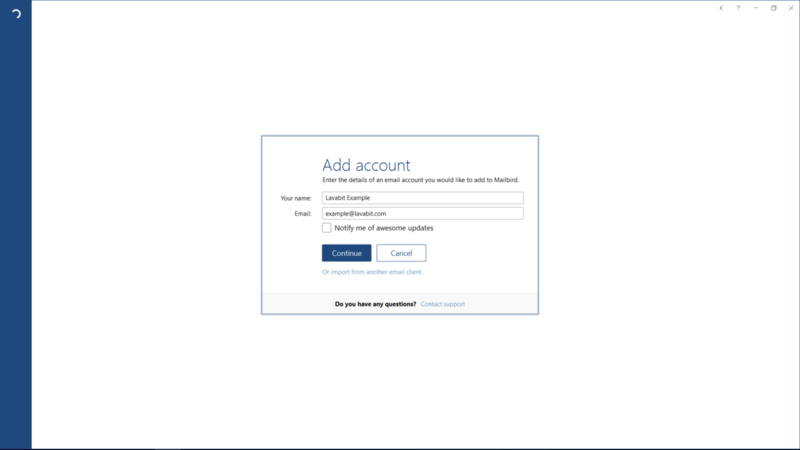 When starting Mailbird for the first time, you will be automatically shown the Add Account prompt. 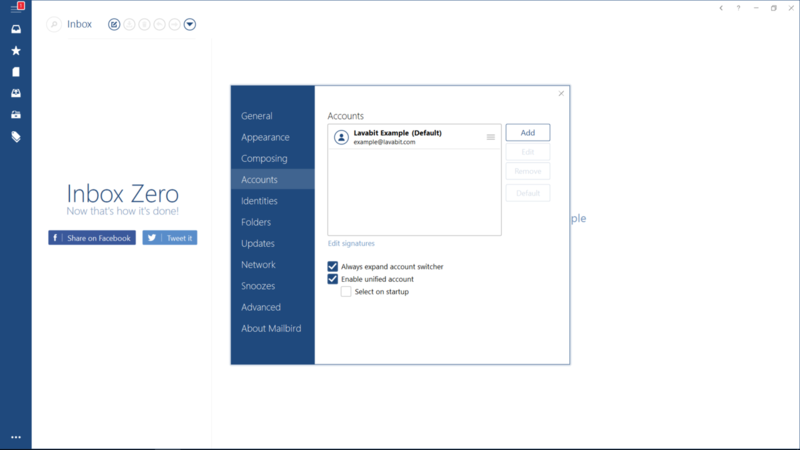 To add a new account to an existing Mailbird installation, select ... > Accounts > Add from the menu. In the E-mail and field, enter your Lavabit password. Click Continue. 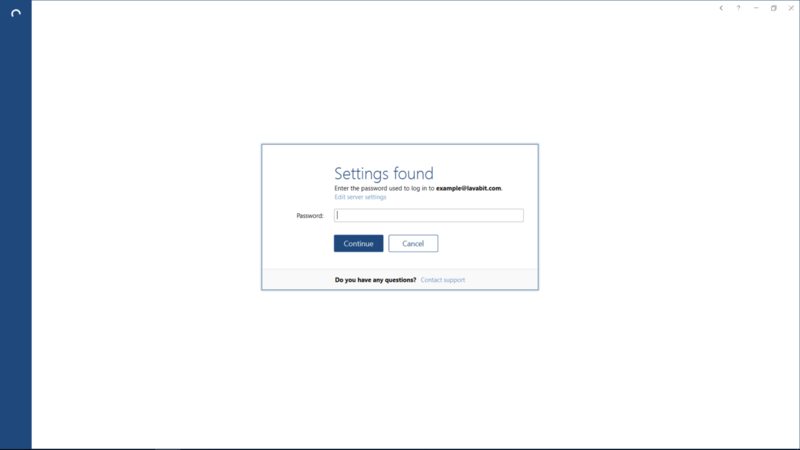 Continue through the prompts until Mailbird finds the settings automatically. Enter your Lavabit password and click Continue. After Mailbird syncs with the mail server, you should see a message from the Lavabit Support Team in your Inbox. You can also try sending an e-mail to make sure your outgoing mail works as well.